The violin has been around for over five centuries, and the instrument continues to draw some of the greatest talents from around the world. Some of these are very flamboyant – in fact, it is often said that even the Devil himself plays the violin! 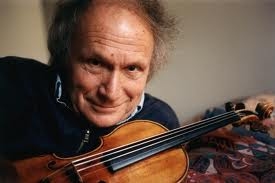 Choosing the best of famous violinists can be difficult, but there are some virtuosos who rise to the top of the list. This young virtuoso is very popular, including stints on popular television shows and pageants. But beyond the flash is a very delicate sound that draws fans from the world over, even those who are not typically into violinists. His popularity proves that good playing of the violin will get attention from anyone who appreciates a lovely sound. This Canadian powerhouse has been recording major pieces for over ten years, and has received rave reviews from those in the business. His honesty with composition has made him a favorite among those who prefer to hear the classics as they were originally written. He currently performs chamber music with the Ehnes Quartet. This man always played in such a way that he reached extremes – either too much emotion or too little, too much pomp and circumstance or not enough. That means that listeners either love his music or hate it. Born in Israel, he began playing seriously at the age of 12, and played with some of the best in pop culture, including the Rolling Stones and John Lennon. He's now 92 years old and is an UNESCO Goodwill Ambassador. 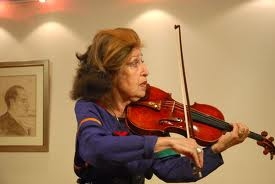 Born in Poland, this talented woman still plays on a regular basis, even though she is now in her 80s. She is known as the first western player to perform in China after the Cultural Revolution. She studied under the best teachers, and had a busy touring schedule until very recently. 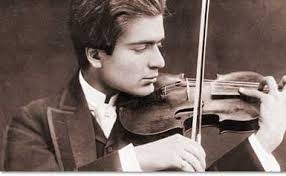 This Greek violinist had won numerous competitions by the tender age of 21, but he didn’t become popular until recently, when his exacting technique became appreciated by more mainstream listeners. He has close attention to detail and can perform very demanding pieces. Born in Latvia, he burst onto the scene by winning every major competition, joining the ranks of famous violinists with his unusual style. His creativity leads to serious improvisation, and that makes him a favorite among modern composers. Since 1997 he has directed groups of young players to find their own sound. She defected from the Soviet Union in 1983, and brought with her a powerful and authoritative technique. In her later years she has become softer and more personable with her playing, including an exploration of jazz and world music styles. Her wide career range has made her a favorite among famous violinists. His playful sound brings to mind Louis Armstrong, a musician that makes you smile even as he reveals flawless technique. With a sweet, warm tone, he hit the big-time with an appearance on the Ed Sullivan show at the tender age of 13. Today he continues to play occasionally but is more devoted to teaching young violinists. One of the youngest of today’s virtuosos, Shaham made a name for himself in 1989 when he was called in to replace Perlman for a series of shows in London. Since then, he has kept busy with a healthy discography and international tour, and is currently recording violin concertos of the 1930s. This brooding, serious violinist often strives for the profound and finds it, if his many fans are to be believed. Born in Israel, he studied in New York but now calls Canada home. Today he works as a conductor and refuses to play historically-informed pieces, preferring instead a new and natural take. 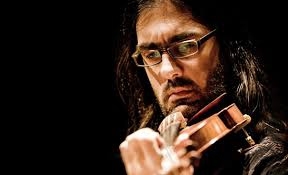 He is also one of the best viola players in the world. He might not have had a grand technique, but his take on what music really means has earned him a top spot among famous violinists. He didn’t have a huge sound but made up for that in poetic intelligence. One of his most famous works is the recording of First Rhapsody by Bartok, along with other pieces, with the composer himself. As old age took a toll, he turned to writing about the craft, and produced beautiful texts. 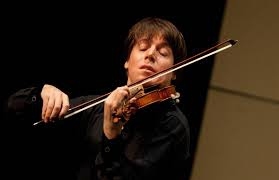 This talented virtuoso actually played the Brahms Violin Concerto in front of the composer himself, and received great reviews for the effort. His technical playing might not be as good as that of others, but his personal twist on the music makes him a long-standing favorite. Server responsed at: 04/19/2019 10:54 p.m.